Mughlai (moog-lie) is a type of cuisine that came about as a result of the Mughal rule in India from 1426 to 1857. During that time in India's history, the food was rich and cooked with aromatic spices, nuts, and dried fruits. The flavors of Mughlai can range from mild to spicy and are associated with their distinct aroma and use of whole and ground spices. This type of Indian cuisine originated in northern India in places such as Uttar Pradesh, Delhi, and also among Muhajir expats in Pakistan. Traces of Mughlai cuisine can also be found in the Indian cities of Bhopal and Hyderabad where Central Asian cuisine largely influenced its flavors. The official language of the Mughal Empire was Persian, so many Mughlai dishes also have Persian and Turkic names. Once prepared for royals and emperors, these dishes feature flavorful meals that combine the traditional spices and flavors that embodied Indian cuisine. Some of the Muslim-influenced names in Mughlai dishes include biryani, pulao, kebabs, and kofta. The strong influence of Muslim cooking styles is evident throughout Mughlai meals as Mughals left a lasting impact on India. This is evident as Mughlai dishes are still very common and desired today. The preparation of Mughlai cuisine was likely time-consuming and very involved with the number of flavored sauces and butter-based curries—it's almost like it was created to make people want more food because it can be that indulgent! The names of these foods are also so intriguing, which may tempt people to try new dishes in the Mughlai style. Because the Mughals were Muslim and Hindus by religion, pork and beef are traditionally not a part of this cuisine and instead heavily consumed and used goat, fowls, sheep, and venison in addition to vegetarian-based dishes. 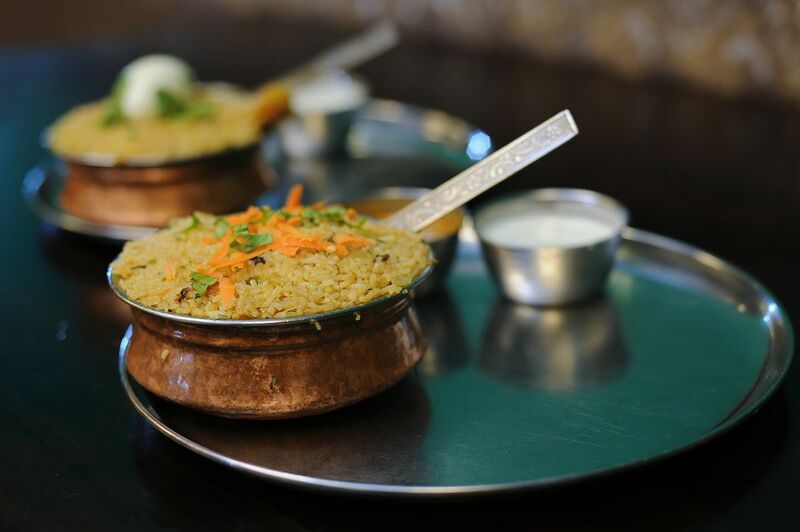 Most Indian restaurants interpret Mughlai dishes as mild to medium-hot cream and nut-based gravies, rice dishes with lots of nuts, dried fruits, and rich creamy desserts where you should expect spices like saffron, cinnamon, cardamom, cloves, and nutmeg. These popular Mughlai-style gravies also pair well with rice and bread. Common dishes that feature traditional Mughlai flavors include biryani, kebabs, kofta (meatballs), pulao (or pilaf), and tandoor. Examples of these traditional dishes include Mughlai chicken, Mughlai biryani, Mughlai paratha, malai kofta, reshmi kebab, kadhai gosht, and murg tandoor. Traditional Mughlai desserts include the bread pudding shani tukra, barfi, kalakand, and falooda. Though many Mughlai meals are rich, decadent and savory, they can always be lightened up by substituting healthier ingredients. With its historical roots, Mughlai cuisine is still very much alive in kitchens across the globe, whether at home or in restaurants.